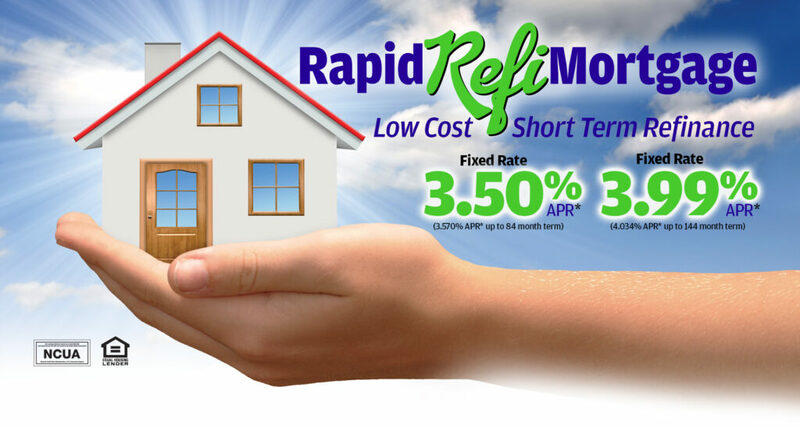 Pay off an existing mortgage faster with our Rapid Refi Mortgage program, with low fixed rates, waived closing costs and accelerated terms and you can save thousands of dollars and be mortgage free sooner! Calculate Your Payment & Apply! *Both product requirements: $200,000 max loan amount, min 800 credit score, 80% maximum LTV, loan must be in the 1st lien position, owner occupied homes not currently listed for sale, rate/term refinances only, any cash out will result in .50% rate increase. Properties located in CT & RI only. $450 application fee charged for this loan, unless loan amount is $150,000 or greater, no other closing costs. This offer may be changed or withdrawn at any time without prior notice.